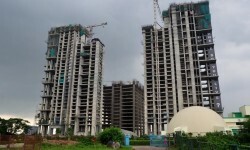 The National Green Tribunal (NGT) has directed the Ministry of Environment and Forests (MoEF) to re-examine a notification exempting real estate projects with a built-up area measuring between 20,000 and 1,50,000 square metre (sqm) from obtaining prior environment clearance, saying the norm suffers from legal infirmity. The MoEF, in an amendment notification published on December 9, 2016, exempted buildings and construction projects from the process of environment-impact assessment (EIA) and prior environmental clearance. 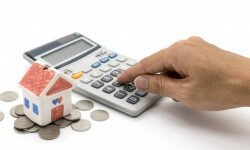 A Bill for amending regulations governing compensation amount payable for acquisition of immovable property by the Central government for defence and security purposes was moved in the Lok Sabha on December 19. The Requisitioning and Acquisition of Immovable Property (Amendment) Bill, 2017, was moved by Urban Development Minister Hardeep Singh Puri. The Bill seeks to amend a provision to allow the Centre to re-issue the notice of acquisition to ensure that property owners get an opportunity to be heard. The Uttar Pradesh Assembly has passed a Supplementary Budget totalling Rs 11,388.17 crore with a focus on the development of infrastructure such as road, power, health, Panchayati Raj and schemes for the welfare of the poor. In the Supplementary Budget, there is a provision of Rs 1,215 crore for constructing toilets under the Swachch Bharat Mission (rural), while Rs 759.48 crore has been earmarked for power, Rs 519 crore for construction of roads and bridges and Rs 413.18 crore for the Pradhan Mantri Awas Yojana (Gramin). With an aim to cut power consumption, the Indian Railways plans to make all stations cent per cent LED-lit by March 2018. The railways said it was actively working to provide 100 per cent LED lighting for energy needs in railway staff colonies, stations and platforms. The initiative will reduce consumption by about 10 per cent of the total energy being utilised for its non-traction uses, conserving about 240 million units of electricity, which will save the railways about Rs 180 crore annually.